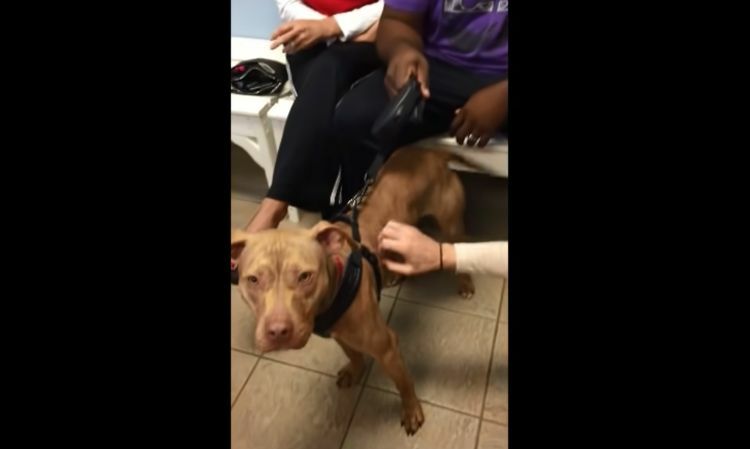 A shelter dog named Rush seemed as if he was unlikely to find his forever home when he showed up at the SICSA Pet Adoption Center in Kettering, Ohio, in 2015. Even though he was a healthy and young pit bull, Rush acted as if he was very anxious and fearful. 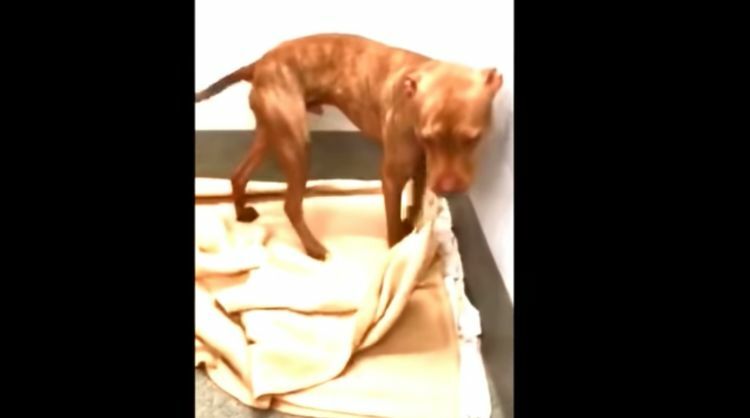 The handlers at the adoption center tried to do everything they could to help him feel better. But it was his own ingenuity — and adorability — that made the country fall in love with him. Rush soon started moving his sheets around on the bed provided to him by the SICSA workers. Upon first glance, it looked as if Rush was making his own bed! This special behavior delighted the SICSA workers. 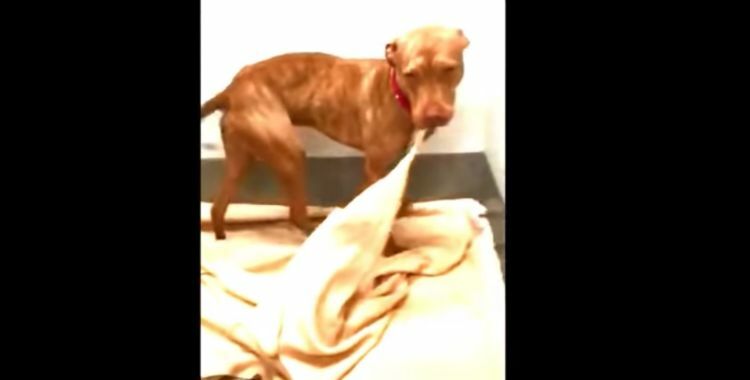 Soon, Rush was making his bed every morning, and everyone enjoyed it so much that the workers decided to take a video to showcase his adorable talent. They uploaded the video to their YouTube channel, and the rest was history. The video was viral before the SICSA workers even realized it, and soon, Rush's quirk had been viewed more than a million times. After the initial surge of views, the SICSA posted a picture of Rush on its Facebook page that stated, "Not to brag but I'm Internet famous." People loved watching Rush, and soon, the video even led him to his forever home. A husband and wife both saw Rush's video, with the wife seeing it on the Internet while the husband noticed it on the news. 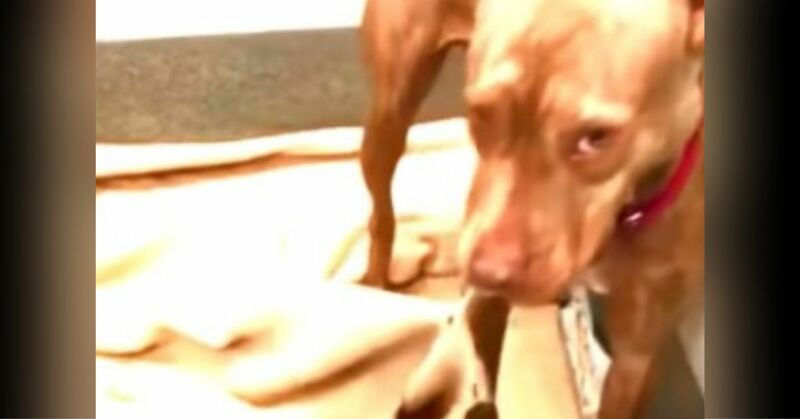 They both thought they weren't ready for another pet after they had lost their dog earlier the same year. But together, they decided Rush was the one for them. Rush's new adoptive parents even got a crazy sign they were doing the right thing on their way to pick up their pup. They drove past a billboard advertising the Cincinnati Bengals that read "Rush to be there." The word "Rush" was in larger letters, so it's all the couple saw when they were driving. 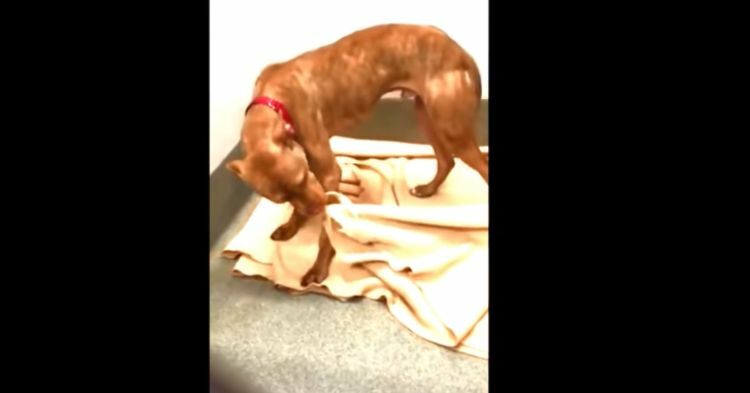 Rush was excited to go home with his new family, but the SICSA felt he'd made an even greater contribution to his fellow pit bulls by showcasing his sweet and adorable quirk. “There are a lot of negative stereotypes about the American pit bull," said Nora Vondrell, executive director of the organization. "If we were able to highlight the cute cuddly points of Rush, then we can help people look beyond the pit bull label." When asked about how Rush was getting along in his new home, Vondrell said his family is "very much in love with him." Of course, it's not hard to see why. After all, Rush and his story help to remind everyone that adopting a pet can be an incredible journey that leads to amazing discoveries and special connections.